Lens Description: The Nikon mount AT-X 124 PRO DX II has a built-in AF motor drive. The motor inside the lens was loaded onto the Nikon mount specification anew. The AF operates smoothly and quietly due to a DC motor that uses a new AF control gear assembly. With the built-in motor, the lens can be used in AF mode with the Nikon D60 and D40 and other silent wave bodies. 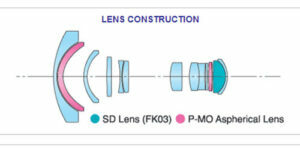 The Canon version of the lens already has a built-in AF motor and will benefit from the improved multi-coating. The optical system of original AT-X 124 PRO DX won awards for its sharpness world-wide. This design was maintained in the AT-X 124 PRO DX II and improved with the introduction of new multi-coating_ system. The new multi-coating helps reduce reflections that can cause flare and ghosting even more than in the AT-X 124 PRO DX. The AT-X 124 PRO DX II features the one-touch focus clutch mechanism. _ To use the one-touch focus clutch mechanism, move the focus ring forward, towards the front of the lens, for AF or back for MF. This allows for a fast and easy manual over-ride in difficult lighting situations. 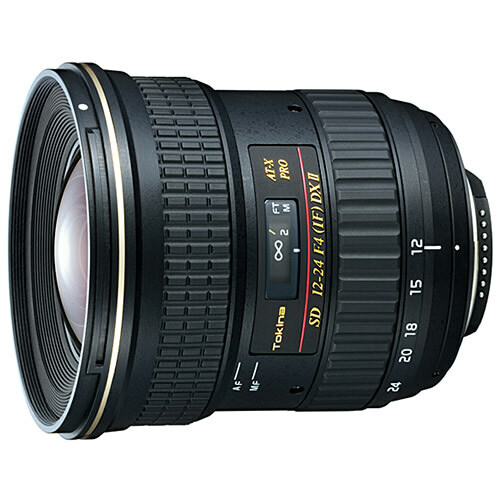 Digital single-lens reflex DX lens_ dedicated to digital SLR cameras with APS-C sized sensors.